SCHIPHOL AIRPORT, 6 November 2017 – In answer on the increasing demand to high quality logistics solutions of medicines-manufacturers in the Netherlands MG Real Estate started with construction of a tailor made warehouse for Yusen Logistics. The building is strategically located on the industrial parc Borgwerff II in Roosendaal. 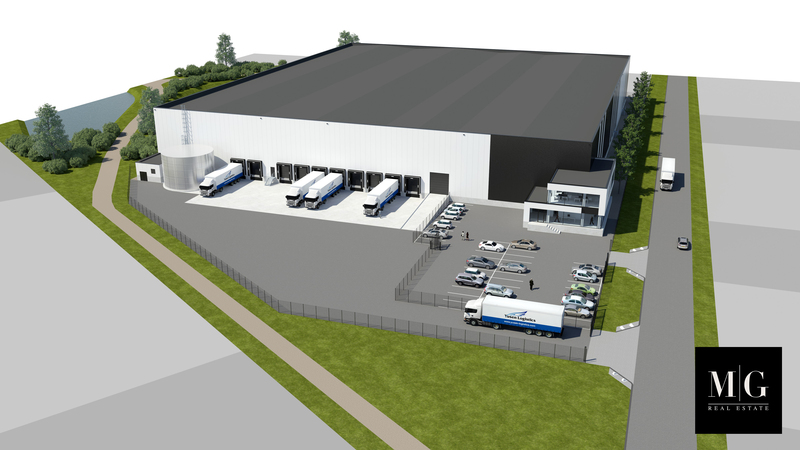 The warehouse and offices have a total size of 11,225 sqm and the warehouse part will be divided in a cold store area (2-8⁰ C) and an ambient temperature section (15-25⁰C). The complex will be delivered to Yusen Logistics in March 2018. The transaction in Roosendaal was realized through the intermediary of INDUSTRIAL real estate partners.